What’s in your building envelope? Home insulation should act like a down-filled coat, protecting building occupants from temperature extremes. But most homes have too little insulation and too many air leaks. Insulation helps your house stay warm during the winter and cool on hot summer days. There are many different types of insulation, but they all work by slowing the transfer of heat. In fact, the "R" in "R-value" (the standard measure of insulation value) stands for "resistance" to heat transfer. R-value is usually expressed in two ways: R-value per inch of insulation thickness, and "total R-value," the overall insulating value of a building assembly that may contain insulation as well as framing, sheathing, gypsum board and other building materials. To put it simply: More R-value means an increase in comfort and a decrease in the cost of operating your heating and cooling (HVAC) equipment. When you invest in an insulation upgrade, your home becomes not only more comfortable but more affordable to own. There’s a third benefit too: Improved green value. A well-insulated house is also a greener house because its lower energy requirements reduce carbon emissions. For many years, houses didn’t need to be well-insulated because energy costs were low. Cheap, plentiful supplies of fuel oil, natural gas, propane and electricity allowed builders to focus on curb appeal rather than energy efficiency. Today the high cost of energy makes insulation VERY important. Families are motivated to upgrade insulation levels for improved comfort. But they also want to be financially protected from the next spike in energy costs. A well-insulated house can save you hundreds of dollars a year in utility payments. Wouldn’t it be nice to spend money on enjoyable things rather than on utility bills? Rooms are too hot or too cold. If you have to overheat or overcool one part of the house so that another part is comfortable, there’s probably an insulation problem. High utility bills. Inadequate insulation forces your HVAC system to work overtime, consuming extra fuel and/or electricity. Heating and cooling systems run all the time. An HVAC system that cycles on and off frequently often indicates inadequate insulation levels. There are many types of insulation, and each type has its own set of advantages, limitations, installation requirements and costs. Choosing the wrong type of insulation or installing the right type of insulation incorrectly can have dire consequences: poor energy performance, uncomfortable hot and cold spots in your house, and even mold and mildew problems. To make sure your investment in energy savings has the highest payoff, it’s a good idea contact an experienced, full-service insulation and energy-performance contractor like Dr. Energy Saver. Our energy technicians are trained and certified to industry-leading standards, and we have access to the most comprehensive selection of insulation materials you’ll find anywhere. Inspection & recommendation. We’ll inspect insulation levels throughout your house and tell you exactly where the weak points are in your home’s “building envelope.” We’ll recommend customized weatherization and insulation improvements based on your home’s condition and on your comfort and energy-performance requirements. Free Estimates. You’ll receive a written estimate for all recommended improvements. Expert installation. Our energy technicians will complete the work you select, leaving your home more comfortable and much more energy efficient than how we found it. 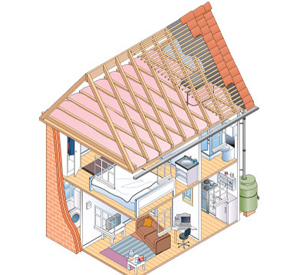 Dr. Energy Saver can help you decide which types of insulation are right for you and your home. Contact Dr. Energy Saver today for a free insulation quote in Connecticut. We proudly serve Bridgeport, New Haven, Hartford, Waterbury, Stamford, Danbury, Norwalk, West Hartford, Bristol, New Britain.